LAHORE: Keeping up with its tradition of coming up with some of the best promotions for its customers, Careem Pakistan on Saturday introduced yet another exciting offer. As per the text notification received by only a few of its ‘loyal customers’, the ride-hailing app on February 3 offered a complimentary gift delivery. 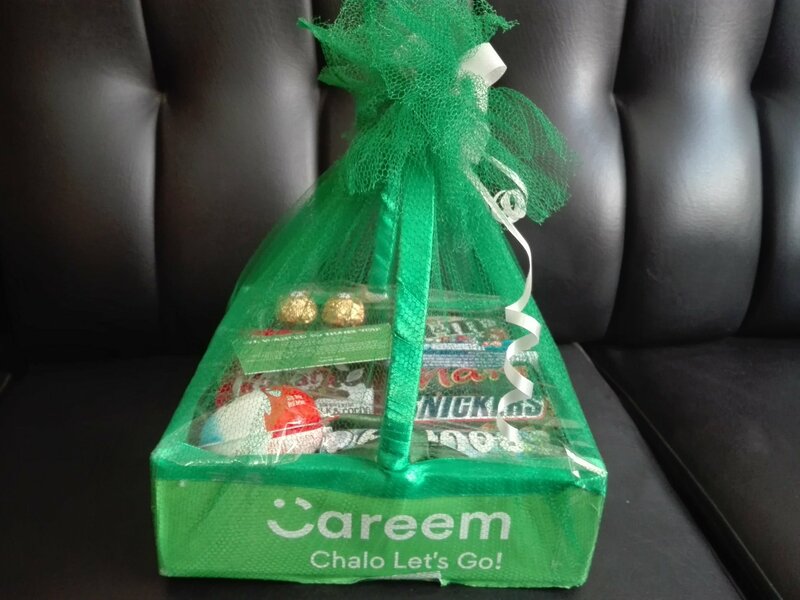 While hundreds of enthralled customers who received Careem’s exclusive gift baskets with eateries and other goodies took to Twitter in a bid to express their excitement, some of those who didn’t, also followed. Careem sending gift buckets to those who do promotional campaigns for them. How surprising. Lasting for almost 8 hours, the promotion ended with Careem informing how owing to the high demand of its Gift Cars, the company was out of stock. While the offer fascinated hundreds, and flooded social media networks with posts by the lucky recipients, the company – known for coming up with such out of the box marketing strategies – managed to maintain its spot in the limelight yet again after having announced projects like the Rishta Aunty, Pizza Hut Controversy, Careem Air and Bakra on Wheels last year. The writer is a former member of the staff and can be reached at [email protected] He tweets at @Ayezee11. Writer is a member of Careem Staff? Is this a news of advert? This paper is good for cleaning but-tocks.